Swype For Android, Reviewed: A Hassle To Install, But Is It Worth It? Whenever I see an iPhone user laboriously tapping away a text message or an email key by key on that tiny 3.5" iPhone screen, I cannot help but feel a tinge of pity (or is that glee? Hard to tell apart sometimes, especially when it comes to my attitude towards iPhone users). I've long since fell in love with sliding/swiping keyboard, as my SlideIT review from a year ago shows. 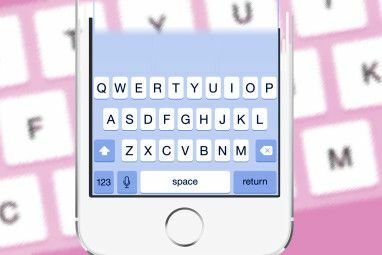 But when people hear "swiping keyboard," SlideIT isn't usually the first name that comes to mind: Swype is. It's interesting to note how well-known this powerful sliding (or swiping) keyboard is, especially since it's not even available on Google Play. But is Swype's reputation justified, or is it mostly hype? Installing Swype is not fun. I can understand that Nuance (makers of Dragon Naturally Speaking, who now own Swype) decided to keep the app off Google Play -- alright. But it's not like you can just go to the website and download the app's APK file (installation package). Instead, installing the app is a complex multi-step process. You have to give Nuance your email address; then they email you a link to an app (not Swype, but an installer app). Then you install the installer, and then the installer downloads Swype. The only way they could make it more complicated is if you had to send in a postcard, too. In a nutshell, Swype is a joy to use. Gesture recognition is amazingly fast on my Galaxy S II -- I just scrawl all over the keyboard as fast as I can, and Swype almost always gets it right. Even on the rare occasions Swype misses, error correction isn't a big hassle: You just have to tap the word Swype missed, and the correct word is almost always in the list of alternatives (shown above for the word "This", with "Thus," "Third," and so on). Swype's prediction is contextual: Meaning, if I tap out "TGI" (all caps) and then slide over "fridays", I automatically get TGI Friday's -- correctly capitalized, and with the apostrophe. That's because Swype knows this word combination, and is aware of the fact they go together. It used to be that I would scrawl a word, look to make sure it got it right, scrawl another one, etc. I would do it quickly so it didn't feel slow, but then one day I realized Swype is accurate enough so that I just don't have to look most of the time: I just slide and scrawl very fast, and in the end I proofread my message. There's usually a misrecognized word or two, but they're easy to fix. While Swype has quite a few preferences, it is not nearly as customizable as SlideIT. For example, SlideIT supports multiple skins, so you can change its appearance: Swype does not. SlideIT also lets you configure your own shortcuts -- type "idk" and it expands to "I don't know": Swype doesn't have a similar feature. That said, Swype lets you configure a ton of other settings. You can enable or disable handwriting recognition (handy if you're using a stylus), toggle the autocorrect, auto-spacing, auto-capitalization, and more. You can even plug Swype into your Facebook, Twitter, Gmail, and text messages so that it hunts for contact names and words you often use, and learns them for quick recognition. You can also view your personal dictionary at any time, and remove words that were added by mistake (typos, for example). As I mentioned above, Swype is owned by Nuance, makers of Dragon Naturally Speaking. Dragon itself is, hands down, the best speech recognition engine available for Windows today (not that there are many alternatives, except for the one built into Windows). So you should not be surprised to hear that Swype's speech recognition feature is very good, as well. While Swype doesn't come anywhere near Dragon's speech recognition capabilities, it is more than adequate for replying to emails in a quiet environment. I often find myself using it at the end of a long day, when there's "just one more email" I need to reply to, and I'm already in bed. I can just dictate my thoughts, commas and full stops included, and Swype generally gets it right. It does make the awkward mistake here and there, so it's important to proofread before sending your message, but it is still quite handy and impressive. I'd say it's just a bit better than the speech recognition built into Android 4.0 (ICS), but not overwhelmingly so. If you only need to type in English, you may not care so much about this; but if you happen to be bilingual, you might want to read on. What you see above is Swype's Hebrew layout, and the text says "How do you type a question mark?". If you scroll up a little bit, you will see that on Swype's English layout, the "m" key has a little question mark above it, showing that this is the key you have to long-press to get a question mark. In Hebrew, this not so. You can scrutinize each and every key, but you're not going to find a question mark anywhere -- nor an exclamation mark. Oh, they're there alright: If you press and hold the bottom-right key, you'll get a pop-up with several options, one of which is question mark. And if you do the same with the bottom-left key, you'll get an options popup with an exclamation mark. It's just that the bright minds who came up with this layout decided that Hebrew speakers must use more hash signs and pipes (# and I) than exclamation or question marks. Awkward setup procedure, interface oddities, and bilingual quirks aside, I find myself using Swype all the time these days. The reason is simple: It's word recognition accuracy and speed are simply better than anything I've tried before. It is very fast, and very accurate. And in the end, that's what truly matters. 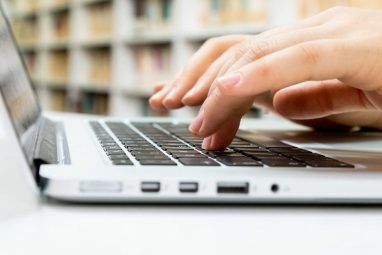 Explore more about: Speech Recognition, Touch Typing. My problem with Swype is that it gets in the way when entering passwords and URL addresses. When what you have to "type" is not a word, Swype tries to make it a word and you will go totally nuts. 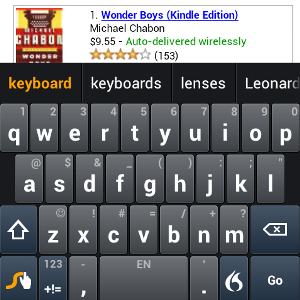 On my Droid Incredible I revert to the standard keyboard so I can enter non-words. Interesting -- are you using the Beta? For me, this doesn't happen on password fields. I gave Swype a chance but didn't like it. I use Swiftkey. Love. 2 years ago, Swype was amazing, it's word prediction was almost flawless, now, it's frustrating, i have to correct far too many words and heck it's dictionary has words that aren't even in the dictionary. obvious mistakes are made and to be honest, what the hell have they done to it to go backwards as much as it has? You may like it, but from a king term uses, i feel like sending hate make to the deva for taking away something so good and relaxing it with complete dung. Used Swype for a long time. But switched to Swiftkey3. Compared I doubled or trippled my speed in typing because it corrects wrong typings on the fly. Damn useful! Swype came preinstalled on my Galaxy SII, and I upgraded to beta (sounds strange, "upgrade to beta"). 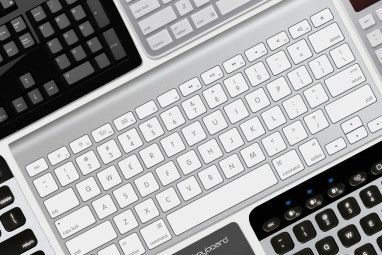 It is still the best keyboard I have tried, but not without its quirks. For example, both Swype and beta seems to have its word precedence wrong, at least in spanish. It keeps choosing "loo", which is not even a spanish word, over the very common "lo" ("it" or "that", depending on context). It also prefers "quite" ("take away" in spanish) over the way more common "que" ("what"). I wish there were a way to edit (or hack) the word precedences (or delete words like "loo"). Also, I can't find a way to stop Swype beta to add words automatically to the personal dictionary without asking (I have my personal dictionary full with my own misspelings), and for the moment I'm back to swype standard (but I miss beta's better speech recognition). Of course the personal dictionary IS editable, but it is a pain going word for word alphabetically, it would be nice to do it with a PC desktop utiliy. Do I whine or what? I tried it before and it wouldn't work. I have to try it again. Currently I still like the split/thumb keyboards. Swype can preinstalled on my SII. Then after doing an upgrade, it was removed, so I tried all the other "swiping keyboards", but none gave me the easy of swype. I even bought SlideIT, but it could just not tip at swype. So now i'm back to swype and probably never gonne swap again. It's just uber awesomness :-). in what way SlideIT is not as effective as Swype? I've just upgraded my beloved Evo to a Nexus and had to go through that damn install process for Swype. Worse, I use Tasker + Secure Settings to switch my default keyboard from Swype to Hackers Keyboard whenever I open VXConnectbot. That process always goes swimmingly the first time, and I end up having to repeat the process of installing Swype a couple of times before it finally works. After rooting and installing MIUI, I decided I wasn't going to deal with the installer yet again. Since I'd purchased SlideIT when it was a dime last summer, I installed that instead. Figuring I'd have to acclimate to it, I forced myself to live with SlideIT for a week and a half before I decided I needed to go back to Swype. It wasn't just that I was used to Swype, SlideIT was just not as accurate and had too many quirks. Now that I've got Swype back, I realize the install process is worth the trouble. Still wish they would change it, though. Swype makes me amazingly fast on my phone. After switching from iPhone to Android, my typing speed was the same. Then I added Swype and I am so much faster. This is exactly the type of innovation that draws me to Android over the iPhone. Swype is the bomb, it's totally worth it! I've been in the beta for a long time now.